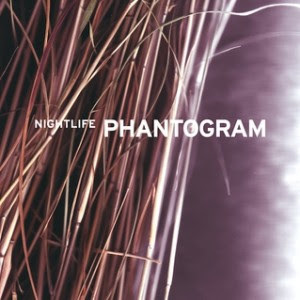 Phantogram’s Nightlife arrives on the heels of 2010’s Eyelid Movies with some well-deserved, palpable hype. After all, that 2010 release felt almost effortless in its good will toward the listener. An album replete with catchy subterranean backbeats along with the silky style of Sara Barthel’s vocals, Eyelid Movies also featured one of the more memorable guitar hooks from last year- courtesy of Josh Carter in “When I’m Small”. And while Nightlife is merely an EP, it can’t help but feel underwhelming- solely because it feels so much like an EP in every way imaginable, never managing to shake the “afterthought” stigma that a casual timeline may suggest. To clarify, this is not an EP-bashing session. Certainly there have been transcendent EPs released in the last year (let’s not forget our first glimpse of Cults), but Phantogram’s debut was so harmlessly smooth that their sound seemed immediately ripe for evolution. Nightlife is not so much a step back for the band as it is ultimately forgettable. However, the first two tracks, “16 Years” and “Don’t Move”, initially suggest otherwise. As solid as anything on Eyelid Movies, both songs offer Phantogram comfortably within their element. “16 Years” features a spirited chorus where Barthel’s vocals soar over tight percussion en route to a predictably elevating bridge. “Don’t Move” is one of the more club-happy songs the band has ever recorded- a pulsating cacophony of noise and backbeats designed to cater to Phantogram’s nocturnal, underground strengths. While each of these tracks doesn’t expand their sound, they do firmly measure up with the rest of the band's previous catalogue. Yet Nightlife peaks with “Don’t Move” and from this point forward, Phantogram struggles through shapeless recycling of previous material (“Make a Fist”, the overlong “A Dark Tunnel”) and unfortunate vocal decisions (Josh Carter does himself no favors on “Turning Into Stone”). The EP never comes to life in the way promised by the vibrancy of “16 Years” and “Don’t Move”. In fact, most of the release feels like B-side material. Supposedly, this EP was inspired by the insomnia, travel, and adrenaline of Phantogram’s endless touring schedule after the release of Eyelid Movies. If so, Nightlife doesn’t do the experience justice. A band as exciting as Phantogram would never be this mundane.